The options for pizza toppings have a range like types of cereal in the breakfast aisle. Whatever your curious mind can come up with can be put on a pizza. 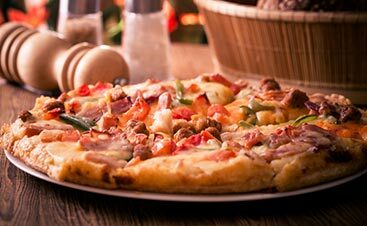 From sweet toppings like pineapple and bell peppers, salty toppings like canadian bacon and olives, to savory toppings like mushrooms and pepperoni, and even more unique toppings like broccoli and artichokes can be a favorite for some. 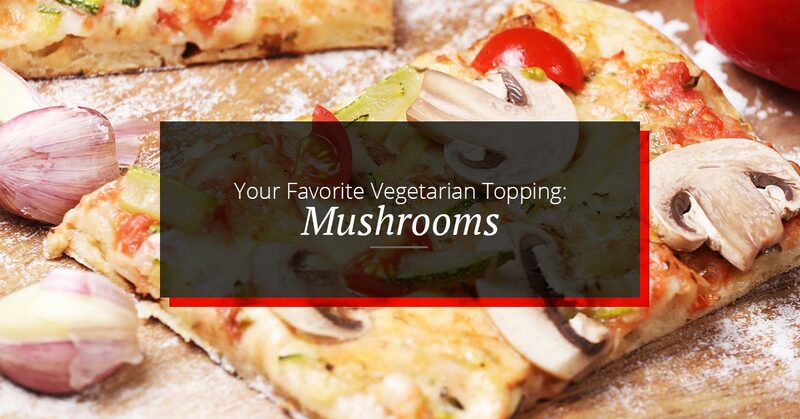 A must-have topping on many supreme pizzas and a favorite of meat lovers and vegetarians alike is mushrooms. Mushroom lovers will quickly find that Upper Crust Pizza is a favorite Santa Fe restaurant when they want to bite into this meaty fungi. Find this earthy topping on our combo and veggie pizzas and the Grecian gourmet. You probably know that there are a lot of varieties of mushrooms, but did you know there are over 10,000 described types in North America? And there are people who believe that’s possibly only a third of the actual number out there. So start eating! But really, don’t, because a lot of these varieties of mushrooms are poisonous. Shiitake: Popular in Chinese restaurants, this mushroom is known for its tasty flavor and medicinal purposes. Cremini: Often labeled as “baby portobello,” this mushroom has a hearty flavor and has a firmer texture. A portobello is simply a cremini mushroom that is allowed to grow until the cap expands. White Button: You’ll recognize this variety in your grocery store and is a popular type for cooking and eating. These mushrooms are great at soaking up other flavors used in cooking, making it a great pizza ingredient. Chanterelle: Harvesting these mushrooms is difficult. While the chanterelle is edible, there are several mushrooms that look like chanterelles, but these varieties are poisonous. Morel: Not your typical mushroom, this variety has a spongy look, but is a prized delicacy. What to Put on Your Pizza? 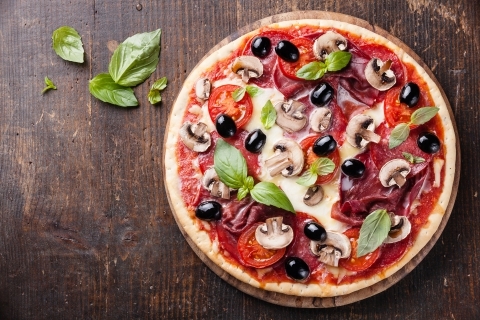 White button, cremini, and portabella mushrooms are varieties most used on pizzas because they are easy to grow and harvest and easy to cook with. Depending on who you talk to, mushrooms should never be put on a pizza without being cooked first. While some toppings, like peppers and olives, can be placed fresh on a pizza, the texture and flavor of the mushroom is enhanced by cooking them in a pan prior to putting the dough in the oven. 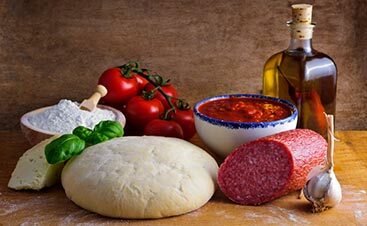 If you’re experimenting at home with pizza toppings, definitely stay away from the canned variety, which is quick and easy, but is lacking in the texture department. What Else to Top it Off? When you’re putting mushrooms on your pizza, there’s a good chance you won’t mind many other popular toppings as well, and just about anything will taste great. But what are the best toppings to pair with mushrooms? Onions, pepperoni, olives, and mozzarella cheese tend to be the favorites. Salty olives, spicy pepperoni, buttery onions, and smooth cheese all work well with the hearty, meaty mushrooms. 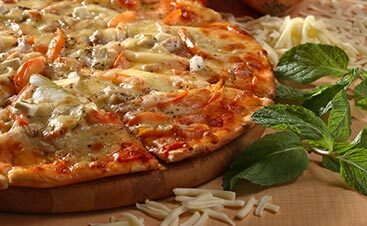 To make your own mushroom combination, come to Upper Crust Pizza for pie that delivers everything you crave. Visit us for happy hour, order up a gluten-free pizza, or try out our breakfast or lunch options.